Australia’s largest surf and beach culture museum. The first fully accredited surfing museum in the world. The Australian National Surfing Museum in Torquay celebrates the story of Australian surfing. It also charts Australia's significant contribution to the development of surfing around the world. Through colourful and exciting permanent displays and temporary exhibitions the ANSM commemorates Australia's fantastic surfing heritage and rich beach culture. This collection is owned and managed by the Australian National Surfing Museum and is based in Torquay, Australia’s surfing capital. The museum came about through the vision of Peter Troy who along with his surfing friends Vic Tantau and Alan Reid drove the idea forward, supported by Surfing Australia, the Torquay surfing industry, local businesses and the Geelong Regional Commission. The museum opened its doors in December 1993. The collection documents over 100 years of the Australian surfing story and commemorates Australia's surfing heritage and rich beach culture. It also charts Australia's significant contribution to the development of surfing around the world. The collection includes artifacts and memorabilia relating to many surfing themes: surfboards, clothing, historical images, surf movies and music, and archival materials. This collection documents and preserves for future generations, the history and culture of surfing, one of Australia’s most popular sports and recreations. It also charts Australia's significant contribution to the development of surfing around the world. The collection is a key resource for the activities of the Australian National Surfing Museum, recognized by the International Surfing Association as a one of the world’s most significant centres of world surfing heritage. Black and white photograph by Jack Eden of Sylvia Hoogeveen riding a surfboard in 1965. Black and white photograph taken by Jack Eden of Sylvia Hoogeveen surfing at the 1965 Warrilla Championships. Hoogeveen is a goofy foot surfer riding an 8 foot plus longboard. 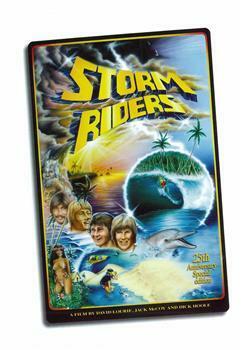 VHS surf movie with colour cover art featuring Mark Occhilupo surfing and a green Iguana. 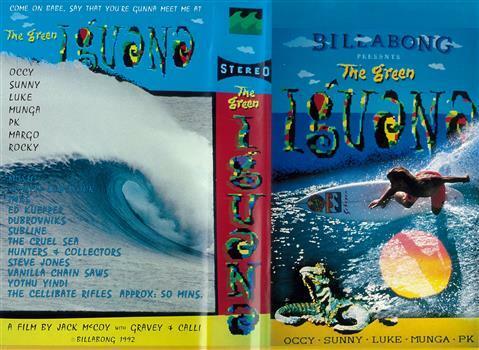 The Green Iguana is one of the most creative surf films ever featuring Australian surfers Mark Occhilupo, Luke Egan, 'Munga' Barry and 'Margo'. All Australian soundtrack by the best independent bands of the time and stunning cinematography by Jack McCoy made this a cult classic when it was released in 1992. One of the most influential surf films of the nineties by world renowned surf film maker Jack McCoy. 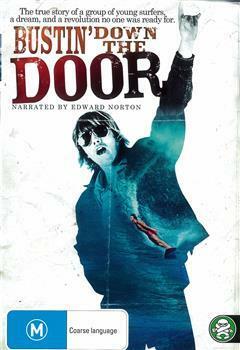 Cover artwork of film poster featuring film title, surfing images and faces of featured surfers. Feature length surf film described as one of the slickest and most professional ever made featuring the worlds top surfers Mark Richards, Gerry Lopez, Simon Anderson plus Wayne Lynch and many more. The film featured a rocking soundtrack with music by The Doors, Australian Crawl, Split Enz, The Church, Sunnyboys and many more. Special features on this DVD include the cult short surf film KONG's ISLAND. One of the best surf films to be made in the eighties featuring outstanding cinematography by Jack McCoy including Big Bells in 1981. The film broke box offices records around Australia during its theatrical screening. DVD cover features a colour photograph of the three stars of the film, Jess Laing, Nikki Van Dijk and India Payne. 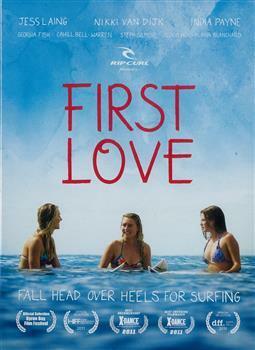 FIRST LOVE tells the story of three passionate young girls from Phillip Island who aspire to make a career out of surfing. The film stars Jess Laing, Nikki Van Dijk, India Payne. Also appearing Stephanie Gilmore, Coco Ho and Alana Blanchard. The first feature length Australian surf film which tells the story of a group of young female surfers. The film has screened at a number of major film festivals and won two major awards at the X-Dance Film Festival in 2011. 24 page souvenir programme, colour cover, colour black, black and white pages inside. Cover features colour drawing of a surfer riding a wave. 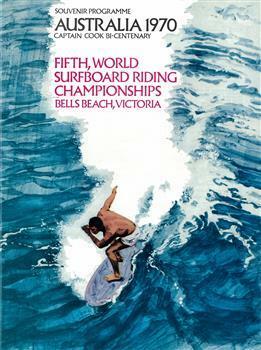 The souvenir programme was produced for the Fifth World Surfboard Riding Championships at Bells Beach, Victoria. The championships were the first international surfing contest held at Bells Beach. The finals of this event were held at Johanna Beach, also a first. The programme features an introduction by the Premier Sir Henry Bolte, Daily Programme of activities, feature articles about Bells Beach and previous World Surfboard Riding Championships plus advertisements for Qantas, Fiat, Peter's Icecream, Jantzen Surf clothing, Schweppes and Bower Boy Surfwax. The Fifth World Surfboard Riding Championships were a first for Bells Beach and also significant for the role they played in the development of Bells Beach as an international surfing venue. 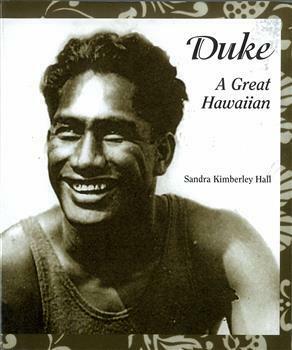 Small hardcover book with a photograph of a young smiling Duke Kahanamoko on the cover with a tradiional Hawaiian print border. 128 pages. Well researched short history of Duke Kahanamoku who was nominated the Surfer of the (20th) Century by Surfer Magazine. Rare short biography of one of the most famous surfers in the world and the man who introduced surfing to mainstream Australia in 1915. This colour sticker was produced and distributed Australia wide by the SAVE BASTION POINT CAMPAIGN to support their environmental campaign to stop a breakwall being built across the popular surf break - Bastion Point in Mallacoota, Victoria, Australia. The breakwall is supported by the local fishing community and local council. If built it would destroy one of the most popular surf breaks in East Gippsland. This sticker represents a local environmental campaign which has gained state and national attention. 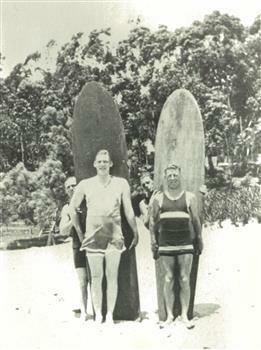 This photograph shows Louis Whyte from Geelong and friends on Lorne Beach in 1920 holding two redwood timber surfboards. In the background can be seen the Lorne foreshore. One of the earliest group photographs of surfers in Victoria. The surfboards and surfers are believed to be the first in Victoria. Piping Hot Twin Fin surfboard. Manufactured from polyurethane foam core and laminated fibreglass with fixed fibreglass fins. Full plan shape with channels running almost full length on the bottom of the board, the wide point forward of centre, swallow tail with flyer. Legrope plug fitted. Custom graphics in red, yellow and green top and bottom. High performance twin fin designs were pioneered by 4 time Professional World Surfing Champion Mark Richards (Newcastle). In this period 1978 -1981 these surfboards represented the pinnacle of surfboard design progression and high performance. 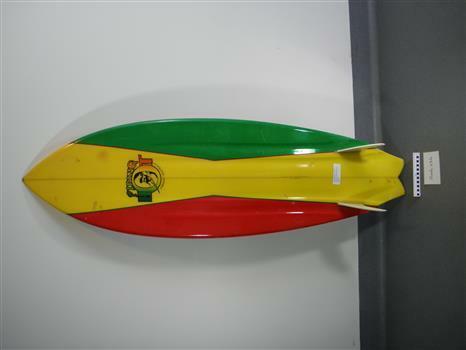 This surfboard also represents Piping Hot which was one of Australia's leading surf 'brands' at that time. Piping Hot was a Torquay based company that produced surfboards,wetsuits and surf clothing. 20cm x 16cm Black red yellow green Piping Hot logo on deck and bottom 60cm down from nose. Hand written makers mark "Shaped by Mike Patterson Custom" in pencil on blank beside stringer forward of the fins on the bottom. "1459" in pencil on bottom near tail. Full colour poster for the surf documentary film SOMEWHERE NEAR TAPACHULA. The poster features an image of a young girl with a surfboard at her feet standing on a beach staring at the ocean. 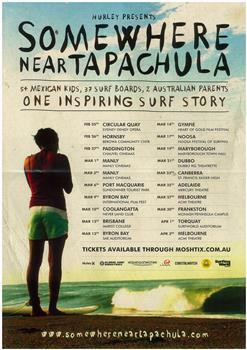 This poster was used to promote the Australian release of SOMEWHERE NEAR TAPACHULA February-April 2010. The film was shot on location in Tapachula, Mexico near the Guatemala border and tells the story of the orphanage Mision Mexico exstablished by two Australians Alan and Pamela Skuse. Surfing was introduced to the children at the orphanage in 2004 and surfing has now become an important part of the weekly program but has also played a key role in improving the lives of the children in the orphanage. SOMEWHERE NEAR TAPACHULA is a unique surfing documentary which explores the social impact of surfing on a community of children living in a Mexican orphanage run by two Australians. Through a series of interviews the film follows the lives of a number of the children as they struggle with issues of identity, family and the harsh economic reality of growing up in a poor Mexican coastal town. Surfing is their one physical and emotional 'escape' refuge. Newspaper Article - Loud and Clear, Parkinson eyes world crown after victory. 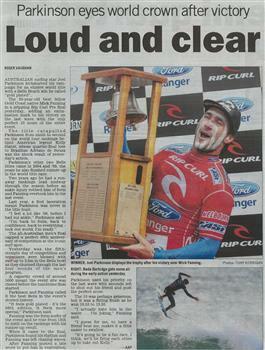 Feature newspaper article with colour photographs of 2011 Rip Curl Pro winner, Joel Parkinson, ringing the big Bell and smaller insert photo of his opponent Mick Fanning surfing at Bells Beach. Feature magazine article by Nick Wade about Joel Parkinson's success in winning the 2011 Rip Curl Pro, Bells Beach on its fiftieth anniversary. Joel Parkinson wins his third Bells Beach contest on its historic fiftieth anniversary. The Bells Beach Surfing Contest is the longest running surfing conterst in the world. 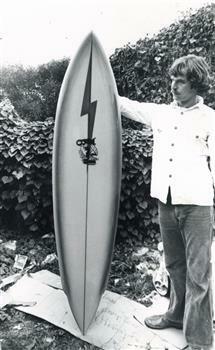 Black and white photograph of surf film maker Jack McCoy holding a Lightning Bolt surfboard. Jack McCoy is a famous surfer and surf film maker from Hawaii. In this photograph he can be seen holding a brand new Lightning Bolt single fin surfboard. Jack McCoy is recognised as one of the world's great surf film makers.During the seventies Lighting Bolt were one of the most famous surfboard companies in the world. The fact both 'were' born in Hawaii makes this photograph interesting and significant. Human Impacts on Australian Beaches was a landmark environmental study which provided a 'snapshot' of the health of 1612 beach areas around Australia. This nationwide study (which built on the success of the 1994 State of Our Surf Report) was put together by the Surfrider Foundation Australia with the support of more then 340 individuals and 70 organisations around Australia. The report was authored by surfer/environmentalist/artist Michael Legge-Wilkinson from Newcastle, New South Wales. Human Impacts was launched officially by Peter Garrett, leader of Australian rock band Midnight Oil at the Bondi Pavilion, Bondi Beach in May 1996. Human Impacts built on the success of the 1994 State Of Our Surf Report, released by the Surfrider Foundation Australia in 1994. 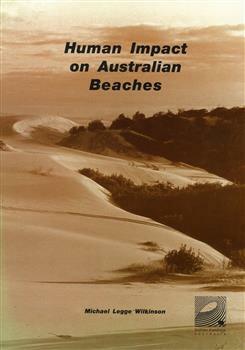 Human Impacts was the first major report to specifically examine the environmental health of 1612 of Australia's beaches. A limited 500 copies of this report were produced, the majority of which went to education institutions, libraries, community groups and government departments. The report generated national and international media interest with the BBC London reporting on its findings in the week after its launch. 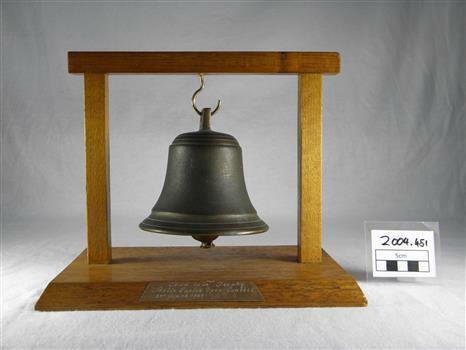 The Bells Beach contest trophy is one of the most widely recognised sporting trophies in the world. Joe Sweeney has been making the trophy for the Bells Beach surfing contest since the late 1970's. It has been won four times by Australian surfer Mark Richards and American surfer Kelly Slater. The Bells Beach trophy is an iconic surfing artefact. To ring the trophy at Bells Beach at Easter is something all professional surfers aspire to achieve once in their professional careers. 2000 Rip Curl Pro Access Pass. Full colour laminated access pass (Outside Staff) for the 2000 Rip Curl Pro and Sunsmart Classic. The pass features cover art by Indigenous artist Glenn Romanis and event management logos. The pass also features a site map on the back and access information. This event access pass was issued to staff, vendors and community volunteers at the 2000 Rip Curl Pro at Bells Beach. Event management logos on the front. Indigenous Bell artwork by Torquay artist/surfer Glenn Romanis. Cheyne Horan Star Fin. Moulded polycarbonate red Star Fin. Fin is signed by Cheyne Horan with "HAVE A GOOD SURF FROM Cheyne Horan". 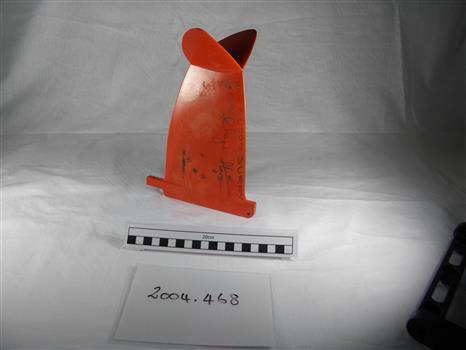 An example of the innovative winged keel design based on the Australia 2 yacht (Americas Cup winner 1982). The Star Fin was a collaboration between Australian pro surfer, Cheyne Horan, and Australia 2 fin designer Ben Lexcen. Horan won 1984 Bells Beach surfing festival riding a board using this fin design. This fin design represents a radical departure from surfboard design thinking at that time (early 1980s) Most people were concentrating on multi fin designs Mark Richards with high performance twin fin designs, then Simon Anderson's 3 fin 'Thruster' design. Cheyne Horan employed the talents of innovative yachting designer Ben Lexcen (who designed the Americas Cup winning Australia 2) to design a unique Star Fin which would provide greater hold for a single fin at critical angles. Horan proved the effectiveness of this design by winning the 1984 Rip Curl Pro at Bells beach using a board mounted with one of the Star Fins. The Star fin represents an unusual (for surfing)scientific and innovative design approach. This is a rare and representative item signed by design instigator Cheyne Horan. Manufacturers and makers information embossed on base. Concept by Cheyne Horan Design by Ben Lexcen Patent Pending STAR FIN Made from Lexan Polycarbonate by Star Fin p/l PO Box 1293 Nth Syd Aust. Surf Contest, full colour, A2 poster promoting the 2006 Havaianas Beachley Classic at Manly Beach, Sydney, Australia from October 9-15th. The poster festures a red Havaianas thong floating in the water. 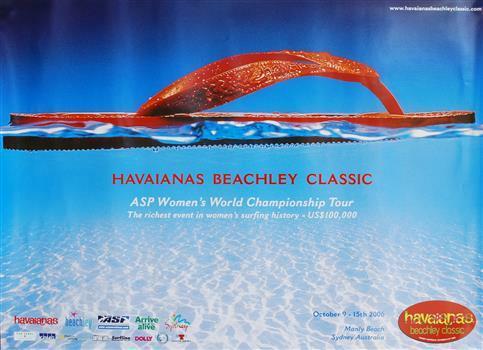 This poster was produced to promote the richest women's surfing event in the world, the Havaianas Beachley Classic held at Manly Beach, Sydney in October 2006. The contest is unique in that it is organised by 7 times world surfing champion Layne Beachley from Sydney Australia. The 2006 Havaianas Beachley Classic was the only surfing event on the World Championship Tour organised by a professional surfer still competing. Layne Beachley was defeated in the final by young Australian female surfer Stephanie Gilmore. Stephanie Gilmore set a number of records winning this event including the amount of prizemoney she took home and the fact she is the only individual to win 2 ASP World tour events competing as a wild card entrant. Brass bell mounted on wooden frame with wood stand and engraved brass plaque. Engraved on brass plaque "Coca Cola Trophy / Bells Easter Open Contest / 2nd JUNIOR 1969"
Colour art of the cover featuring surfers holding longboards against a setting sun. The ultimate surfing adventure as Robert August and Michael Hynson travel around the globe in search of the perfect wave. Iconic surf film by Bruce Brown that led to a significant increase in interest of surfing world wide. 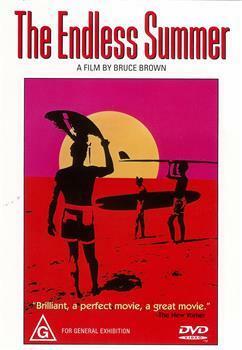 THE ENDLESS SUMMER was initially released on 16mm during 1964 receiving world wide acclaim. The film was re-released in 1966 with a new 35mm print and mainstream theatrical release. 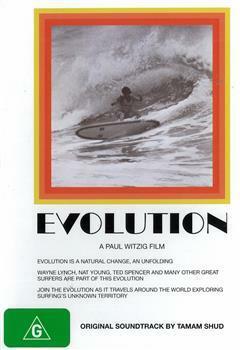 The film was hugely popular in the USA, Australia and Europe becoming one of the most popular surf films of all time. Black and white photograph on cover of Wayne Lynch cutback. Evolution captures Australian surfing at a pivotal moment in 1969 when the shortboard revolution was in full swing. The old long board era was to be consigned to history as Wayne Lynch, Nat Young and Ted Spencer re-wrote the surfing rule book on a 1969 world tour. Music soundtrack by Taman Shud and Tully. This film had a significant influence on world surfing when it as released. The surfing images of Lynch, Young and Spencer had a profound influence on the way that surfers rode waves and the surfing equipment they used. The film remains a true reflection on a pivitol moment in surfing history. Black and white photograph of 'Midget' Farrelly surfing in 1964 World Titles at Manly Beach, Sydney. This stunning black and white photograph by Jack Eden shows Midget Farrelly doing a cutback on the final wave he rode during the 1964 World Titles at Manly Beach, Sydney, Australia. Rare photograph of the last wave Farrelly rode during the final of the first World Surfing Titles at Manly Beach. 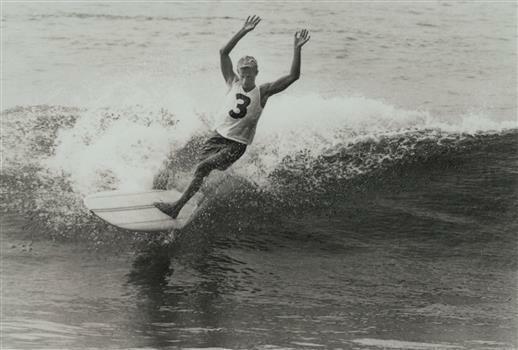 Farrelly was declared the winner and surfing's first World Surfing Champion after this photograph was taken. 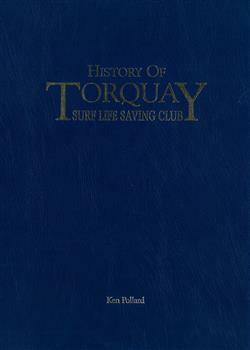 Blue leather hardback book with gold lettering on blue representing the colours of the Torquay Surf Life Saving Club. History of the Torquay Surf Life Saving Club celebrates the first fifty years (1945-1995) of the largest surf life saving club in Victoria. The book features historic photographs of the surf club and the famed Torquay Surf Beach on Victoria rugged Surf Coast. The book also features chapters on the historic, cultural, social and competitive areas within the club. This bok is significant because it represents the first official history of one of the largest and most influential surf life saving clubs in Australia. 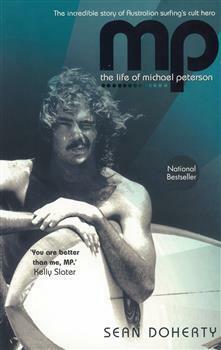 Soft cover book featuring a photograph by Marty Tullemans of Michael Peterson with one of his surfboards under his arm. Quote from Kelly Slater. 342 pages. For three years during the 1970's, 'MP' was the best surfer in the world, winning every surfing contest he entered. MP was an enigmatic competitor and master surfboard shaper during this significant period of growth and opportunity in Australian surfing. This biography tells the story of one of the most dynamic surfer/shapers in Australia during the 1970's. His contribution to world surfing is significant in both the contest arena and the shaping bay. Black and white photograph of Louis Whyte riding a wave at Lorne in 1920 on a solid redwood timber surfboard. This photograph shows Louis Whyte from Geelong riding a solid redwood timber surfboard at Lorne Beach in Victoria, Australia. Whyte travelled to Hawaii in 1919 spending 6 months at Waikiki learning how to surf. He purchased 4 solid redwood timber surfboards on the beach at Waikiki and brought them back to Australia. 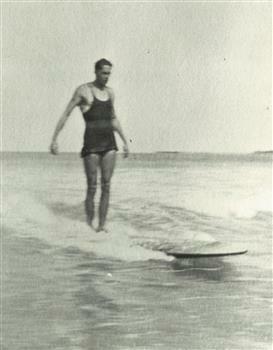 Whyte is the first documented surfer in Victoria. One of the earliest photographs of a surfer riding a wave in Victoria. Colour cover art of an American flag over a sand, movie title and colour photograph of Johnno and Stefan with the infamous Hurley Van. Cult Australian surf travel documentary made by Stefan Hunt and Jonno Durrant as they endeavour to surf 50 states of the United States of America in 50 days (32 without an ocean). Music by Spiderbait, The Wahas and many more. World Premier at the Hayden Orpheum Picture Palace, Cremorne, Sydney on 15th October, 2008. On of the most popular independent surf travel documentaries ever made. Unique insight into surfing and popular culture. Kelly Slater surfboard shaped by Al Merrick (Channel Island Surfboards)in 1996. The surfboard is a three fin, 6' 6" rounded pin, colour yellow. The board, with Kelly riding it, featured on the cover of Surfer magazine in November 1996 in a sequence, shot in Indonesia at speed reef Grajagan. Kelly Slater is contemporary surfing's dominant competitive presence and a truly inspirational surfer. By the end of 2009 Kelly had won a record 9 professional World Surfing Championships. This surfboard is one of Kelly's from 1996 shaped by world renowmed shaper Al Merick from Channel Island Surfboards, Santa Barbara, California. This board was ridden by Kelly in Indonesia in 1996 and featured on the cover of Surfer Magazine in November 1996 in a sequence shot at speed reef Grajagan. This surfboard was ridden by Kelly Slater throughout 1996 and most famously featured on the cover of Surfer Magazine. In 1996 Kelly Slater was at the peak of his surfing powers. During this year he won his 4th World Professional Surfing championship equalling the record held by Australian Mark Richards. This surfboard has international significance and represents a number of innovative design trends during this period. Full colour 32 page magazine with information about the 2000 Rip Curl Pro / Sunsmart Classic at Bells Beach. The cover features artwork by Indigenous artists Glenn Romanis. The artwork features an indigenous theme relating to Bells Beach. This magazine is representative of event guides prepared for the Rip Curl Pro at Bells Beach each year. This particular event guide features unique artwork by Indigenous artist/surfer Glenn Romanis including an indigenous representation of the world famous Bells Beach 'bell' on the top left hand corner. 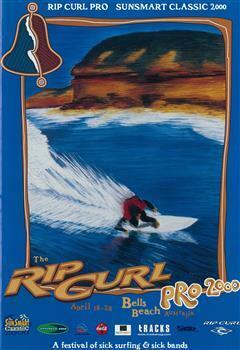 The 2000 Rip Curl; Pro event guide featured unique artwork by Indigenous artist Glenn Romanis. During this period the event was one of the first major sporting events in Australia to embrace Aboriginal culture. The cover includes the official event title plus sponsors logos, Rip Curl, Sunsmart, Coca-Cola, Tracks surfing magazine, Surfing Victoria, Surf Coast Tourism, Association of Surfing Professionals and Offshore Music. Cover photograph of Wayne 'Rabbit' Bartholomew hand raised with inset image of Mark Richards surfing Sunset Beach. Feature length surf documentary which looks at events leading up to the clash between Hawaiian surfers and Australian surfers on the North Shore of Oahu in the early seventies. Includes interviews with Wayne 'Rabbit' Bartholomew, Shaun Tomson, Mark Richards, Peter Townend, Ian Cairns and others. Award winning documentary that focused on a pivotal moment in world surfing history as Australian and other surfers strove to 'bust down the door' in the surfing Mecca of Hawaii. Colour cover featuring cartoon of a surfer by Rick Griffin. Inside magazine 52 pages of black and white text and photographs. 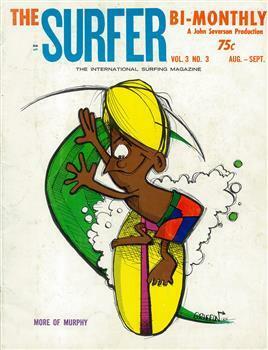 The first SURFER magzazine to feature Murphy a cartoon creation by Rick Griffin on the cover. SURFER was one of the first international surfing magzines. Created by John Severson the magazine is still in print today. The cartoon on the cover is drawn by Californian artist Rick Griffin who during the sixties and seventies was one of the most influential artists in the world of surfing and later music. This issue was also one of the first international surf magazines to feature images of Midget Farrelly surfing Hawaii and the first pictorial on New Zealand. 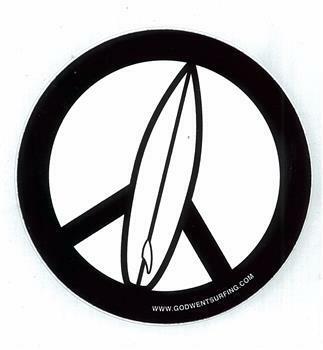 Round black and white sticker with a surfboard in a middle of the iconic 'peace' symbol. God Went Surfing With The Devil is the award winning documentary film by Alex Klein which charts the dangers and difficulties of surfers living in Gaza. The film was released in 2009 and has screened at film festivals around the world. Ground breaking documentary exploring surfing in one of the most dangerous regions of the world. Historic examination of efforts by surfers to create harmony between Israeli's and Palestinians in Gaza.